When an employee starts working at a new employer, his or her employment is often subject to a trial period. The purpose if such a trial period follows logically and its aim is for the employee to convince the employer, within a specified period, of his or her ability to perform the services for which the employee has been appointed. However, a trial period can be used for the wrong reasons, therefore it is important to know your rights in this regard. It is important to determine the length of the trial period when the employment contract is signed, with specific reference to the functions to be performed by the employee. 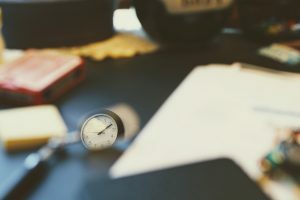 If the length of the trial period is not predetermined, the employer may argue that the trial period is a much longer period, while the employee could be under the impression that the trial period has already expired. A trial period involves an employee being tested in accordance with his or her appointment. It may, therefore, be prudent to agree on the specific measures for the trial period beforehand. For example, a sales person could be told the number of articles the employer requires him or her to sell during the trial period, with the inevitable offset that the employer indicates which training will be provided to teach the employee how to achieve the targets. As in any division of our law, an employee has the right to state his or her case if the employer is of the opinion that the employee did not cope during the trial period. Therefore, if an employer wants to argue that the employment relationship should be terminated, the employee must be taken through a trial process so that he or she can understand the employer’s reasons. However, if the employer did not provide the employee with any training or assistance, a dismissal during the trial period would probably be considered an unfair dismissal.